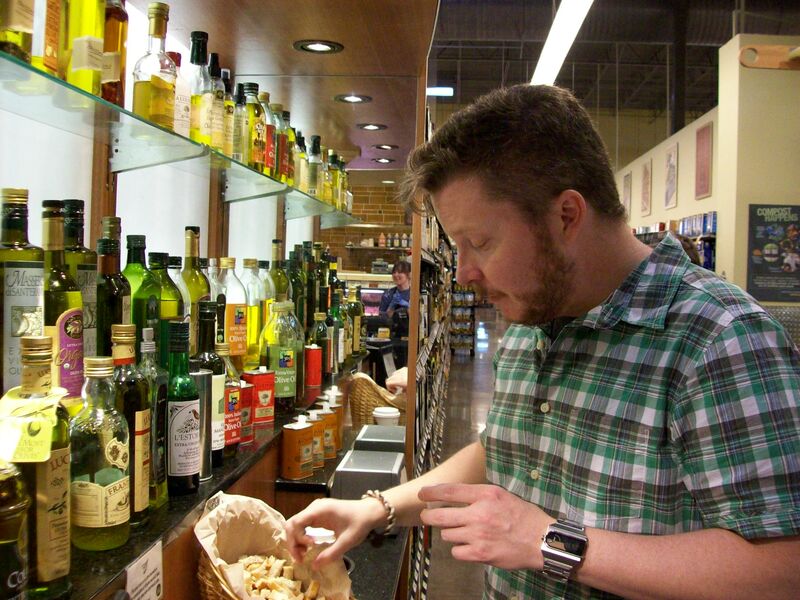 William Jones samples olive oils from around the world. I love visiting Nashville where my son William lives. You can get into all kinds of trouble, and yesterday was over the top – I got to stalk some celebrities, set off the burglar alarm at a major department store and sample some of the most fabulous cuisine the city has to offer. This promises to be a memorable trip. My family typically follows a strict routine during these visits. We do not unload our gear or sit down and visit. We proceed immediately to the Whole Foods Market so I can see what’s new in the world of groceries. (I understand the locals refer to it as the ” Whole Paycheck Market” ). This weekend we entered the Whole Foods market where our senses were assaulted by the color and textures unlike any I have seen in my home town. We were welcomed by a tapestry of purple artichokes which were beautiful to behold, followed by a baskets of huge purple emu eggs that sold for $19.99 each. 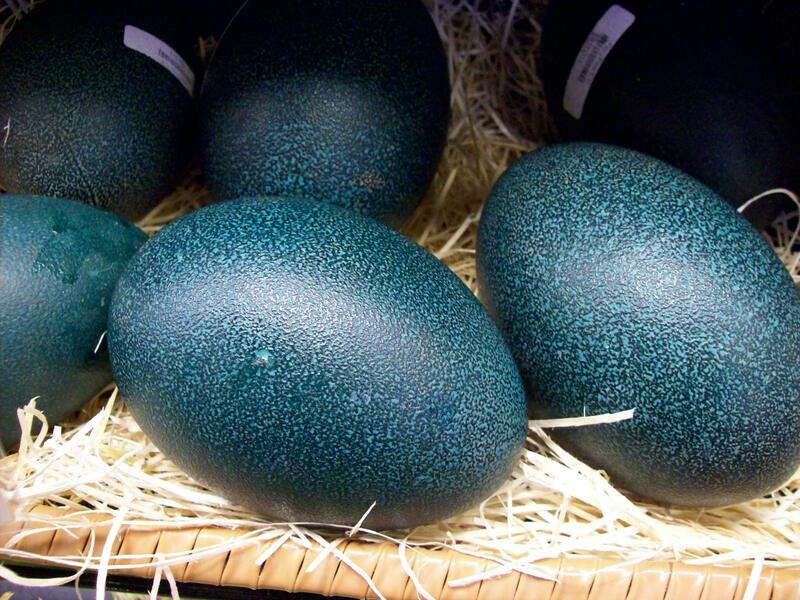 (Bet they would make a whale of an omelet.) 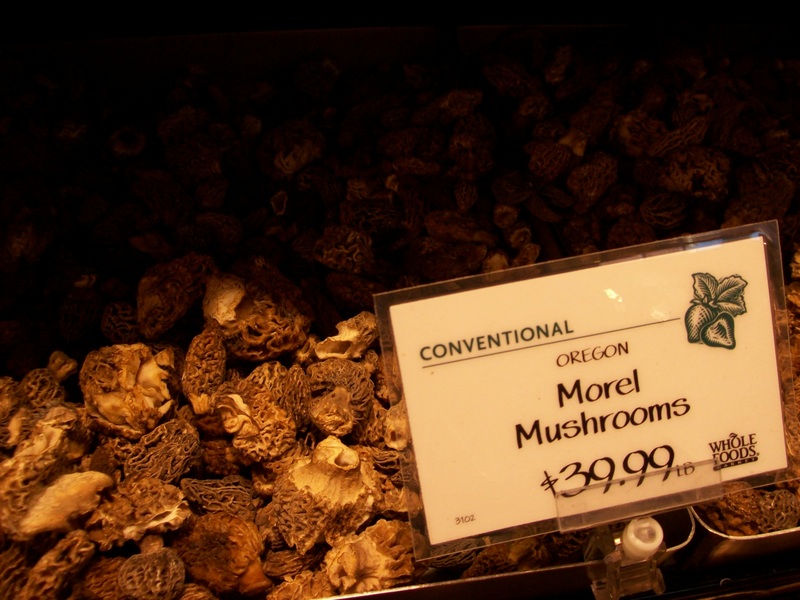 There were morel mushrooms that were priced at a hefty $39.99 a pound. We strolled along beside Nicole Kidman and her beau, singer Keith Urban. I tried to take their picture but William took my camera away and charged me with being a dispicable member of the papparazzi. Food samples are passed out freely throughout the store. If ever I become destitute, I will simply move to Nashville and live on the park bench in front of the store. You can eat your weight in samples and not spend a cent. I’m especially fond of the olive oil bar where you can sample some of the world’s finest brands of EVOO with sour dough bread. On the way out I captured Nicole and Keith (we’re now on a first name basis) as they went to pick up their car, but you can’t really identify them. You just have to take my word for it. This entry was posted in General Stuff and tagged city, emu eggs, market, morel, mushrooms, nashville, whole foods by Emily Jones. Bookmark the permalink. 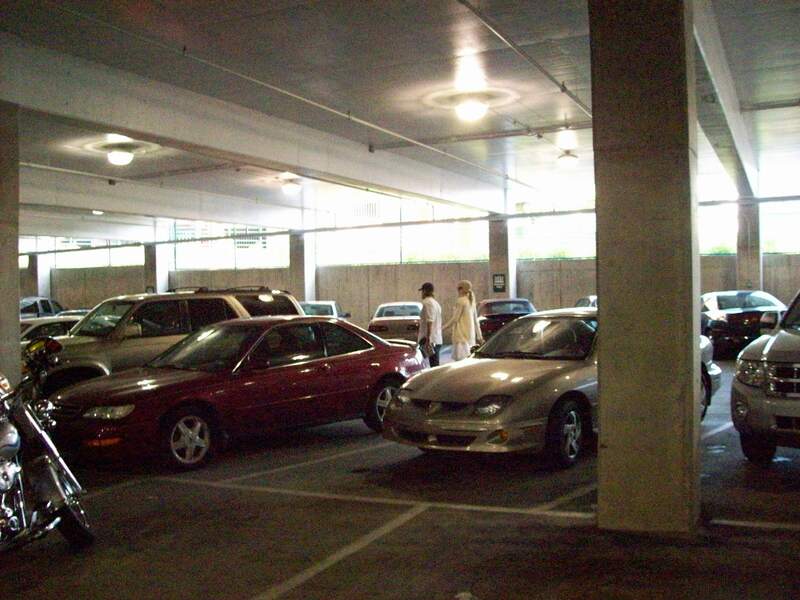 There is a great Whole Foods in Birmingham! Come for a visit and we’ll take a field trip! Is she as pretty in person as she is on the movies? stocking them!! Is he cute? ?